The early to mid sixties were an exceptional time in the history of rock 'n' roll. Finally evident to everyone that, as The Showmen sang, rock 'n' roll forever would stand, many developments emerged. 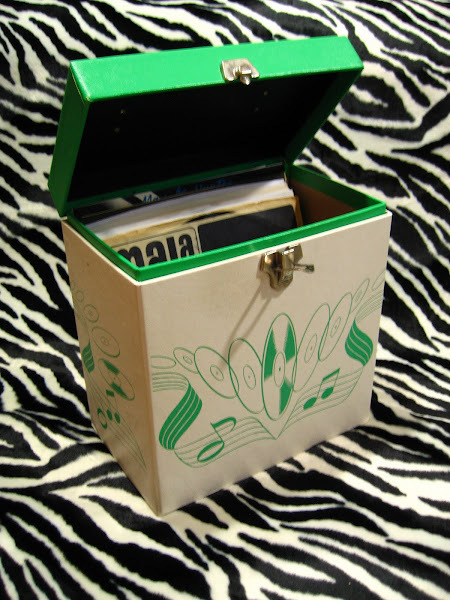 There was surf, Motown, soul, garage rock, and British invasion. All genres that have pretty well stood the test of time and still remain collectable and popular today. However, there is one genre from the period that is often overlooked and belittled but is just as deserving of recognition-the girl group sound. Perhaps girl group suffers from an association with the commercialization of rock 'n' roll that occurred in the early 60's which produced so many teen idols and the often sappy, square sounds they spewed, but where their male counterparts fell short, the girls were able to rise above. As my buddy Steve so eloquently put it, "These fab femmes rocked just as hard as their male counterparts, but they had an aching vulnerability that even the most sensitive or paranoid male singers couldn't approach. And although some regard this as the era of manipulative male svengalis like Phil Spector and Shadow Morton, it was also when women (girls themselves, really) emerged as some of the most preeminent songwriters, arrangers and producers. Ellie Greenwich, Carole King, Cynthia Weil, Toni Wine, Pam Sawyer and Lori Burton (among many others) co-created some of the most unforgettable and magnificent mini-melodramas in pop music history, records that now define their time and place." Everyone knows the classic girl groups like The Shangri-Las, The Ronettes, The Angels, etc... and rightfully so, but recently I've been digging a little deeper. 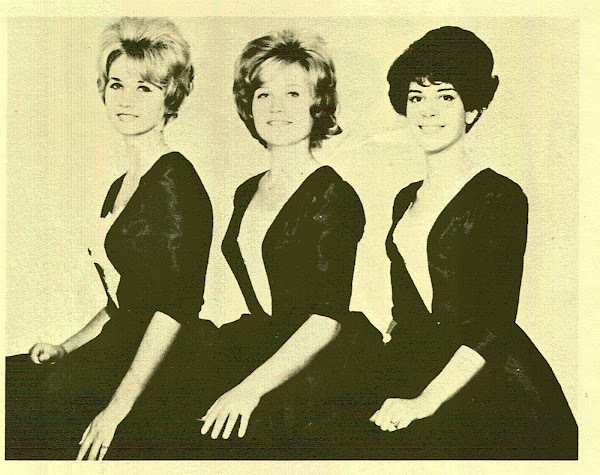 Just as with all genres, there are wonderful artists and tunes that never made the charts and have fallen into obscurity, but unlike with a lot of genres, the girl group obscurities have not been thoroughly explored nor comped. Here are a few of my recent finds. First up, I found a copy of "Foriegn Boy" b/w "Ringo Did It" by Veronica Lee with The Moniques on the Centaur Records outta Rochester, NY. I don't know much about this record except that it came out in 1964 and Veronica Lee was only 13 at the time! Next, I scored a copy of Debbie and The Darnels' "Santa, Teach Me To Dance" b/w "The Time" outta New Haven, CT.. This is their second record from 1962 (I believe the first is under the name The Teen Dreams), and in my opinion, their best. Another little known gem outta New York that I found was The Corals' "Dancin' and Cryin'" b/w "My Best Friend" from 1962. I have the second press on Rayna, but it was originally issued on Kram. And finally, I was just browsing in a local shop about a month back when I came across The Girls' "Chico's Girl" b/w "Dumb Song". 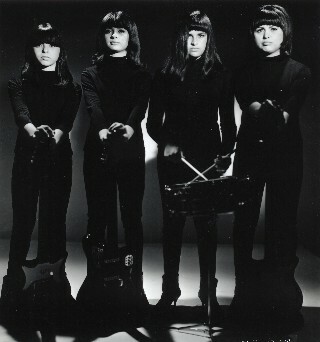 The Girls were four Chicano sisters (the group originally went by the name The Sandoval Sisters) who are noteworthy, along with other such 60's girl groups as The Pleasure Seekers, for playing their own instruments. They were even sponsored by Fender, and in 1965 they were signed to Capitol. Barry Mann and Cynthia Weil wrote this, their first single and what a monster it is! A couple months ago I had the privilege of getting a little tour of Records By Mail's warehouse here in Portland (thanks, Tim!). It was pretty mind blowing, and while I was there, I picked up a couple really amazing girl group 45s. First was Kriss Anderson's "He's My Boyfriend" b/w "The Sloopy" from 1965 and features a great spoken intro on the A side! 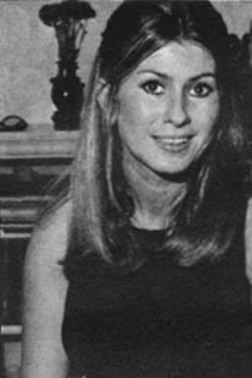 While there I also got a copy of Andrea Carroll's 1964 single "The Doolang" b/w "This Time Tomorrow". I'm pretty sure both of these tracks, as well as her first single on Big Top, feature The Chiffons on backups. And the last 45 in this batch is The Sherrys' final effort on Guyden from 1963, "That Boy Of Mine" b/w "Monk, Monk, Monkey". 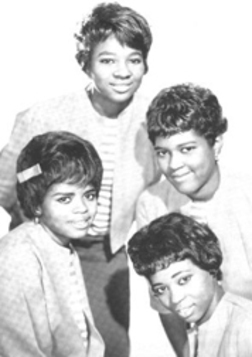 The Philadelphia girl group found success in 1962 when their single "Pop-Pop-Pop-Eye" went to #35 on the charts, but their next few singles failed to make it anywhere, and in 1963 the group disbanded (though manager Little Joe Cook formed a new group under the same name). These final four records were all purchased in the last few weeks as I prepared for a DJ set. First up was The Zippers' "My Sailor Boy" b/w "Pretend You're Still Mine" which is a monster from 1964. 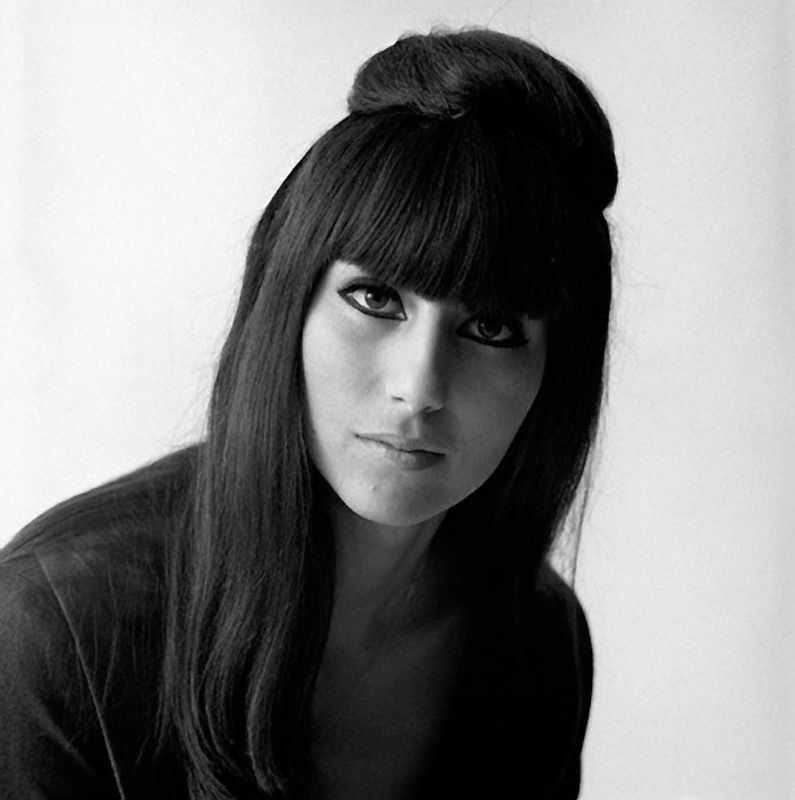 I also scored a copy "Dream Baby" b/w "Stan Quetzal" recorded by an 18 year old Cherilyn (AKA Cher) in 1964. Aside from the Philles records on which she provided backup, this is the only Cher record worth having, in my opinion, and I was luck to get it for a good price. And last, but certainly not least is Sadina's "I Want That Boy" b/w "Who Am I Kidding" from 1965. Another one that I know very little about except that its spoken intro is certainly one of the best committed to record! As long as we're talkin' about girls, I figured I'd include a few neat girlie mags. So they ain't related to girl group, but whatever. Many thanks to my pal Steve for sending me the two smaller rags. The copy of Celebrity from October 1955 features Bettie Page on the cover while the copy of Dare from May 1954 has a great sleazy article exposing the "truth" behind girl gangs! I've also included one of my favorites from my personal collection. Robert Harrison is perhaps best remembered for his publication Confidential which contained all sorts of scandalous content, but his legacy also includes many girlie mags such as Beauty Parade, Titter, Wink, etc... however, he struck the perfect balance between sordid content and pin up imagery with Whisper in 1946 (featuring amazing cover art by Peter Driben). Running through 1958, Whisper never sold as well as Harrison's other publications which makes it even harder to find today. I found this copy about a year or two ago, and here's how. until one mysterious day, as I rode my bike home, I saw the door ajar and a rack of books on the sidewalk. Of course I stopped and cautiously entered. There were towers of books and magazines on all the counters and the racks looked ready to topple if anyone so much as coughed. I told the old man behind the counter that I'd been interested in stopping by, but the shop never seemed to be open to which he replied, "Well, we're open now." Greetings kids, and welcome to what may or may not develop into a venue for me to display, share, and pontificate on the curiosities that I "collect". I never expected to start a blawg since, as is actually the subject of this whole thing, I have a fondness for physical objects. However, I have found other such blawgs interesting and enlightening, so while this will in no way replace my zine, That's Cool, That's Trash!, nor serve as an outlet for every mundane idea that may pop into my twisted little mind ( which is what I detest about facebook and twitter), I hope it will serve some purpose to educate and entertain. And with that, fine reader, let the madness begin! First, let me begin with a very cool vintage Platter Pak that I scored at a local record shop. I've wanted a nice one from the 700 series for a while, and this is the cleanest example I've ever seen. Plus, I really dig the design. Alright, now for the records within. I scored some killer black rockers over the last few months. The first was probably one of the absolute best and hardest to find records I own, Bunker Hill's "The Girl Can't Dance" b/w "You Can't Make Me Doubt My Baby", which is made all the better by the presence of Link Wray and The Wraymen! I was lucky to score this one in flawless condition. Next up was The Bobby Peterson Quintet's "Mama Get Your Hammer" b/w "One Day" which is a monster later covered by Barrence Whitfield and The Savages on their debut LP, though the latter pales in comparison to the original. I've also included Rulie Garcia (AKA Jonny Chingas) with "Prescription-Rock and Roll" b/w "Candy Is Dandy". While not a black rocker, it is pretty well at home with these other killers so I threw it in. Thanks to Tim at 99 Cent Records for hooking this one up! Here we have some vocal groups of sorts. The first acquisition in this serving was by The Fabulous Majestics Featuring Lanny Hunt, a local Portland soul outfit from the mid sixties, with "Dream On" b/w "Somethin' Else" (not the Eddie Cochran tune) on Sande (this is S-102, but some of you may be more familiar with S-101- the first edition of "Louie Louie" by Paul Revere and The Raiders!). Normally I don't dig soul, but this is a really powerful mid tempo tune with absolutely amazing vocals by Mr. Hunt that could give Sam Cooke a run for his money! The girls backing him ain't bad either, and the best thing is it only cost $3 up on Mississippi! Next up was "Gas Money" b/w "Bonnie Lou" by Jan and Arnie. This is such a fun, goofy record on both sides, and I was happy to add it to the old collection! After many, many months of searching, a copy of The Del-Rios' amazing "There's A Love" b/w "Just Across The Street" popped up on ebay. I was prepared for a fierce bidding war but ended up being the only bidder! Hooray! Next up is a smattering of various styles. The first score here was John Ashley's "Little Lou" b/w "I Need Your Lovin'" which has got to be his hardest single to find (with the possible exception of a picture sleeved copy of "Let Yourself Go-Go-Go" b/w "Bermuda" ). I've become somewhat infatuated with Ashley over the last couple years. He was a B-movie actor (starring in such cult classics as Motorcycle Gang and High School Caesar) turned rock 'n' roller, and his handful of singles are actually pretty good (a couple benefit from Eddie Cochran on guitar [with whom he shared a manager, Jerry Capehart] and the songwriting team of Johnny and Dorsey Burnette) with this being his stand out release. Next up was a nice copy of Mad Mike and The Maniacs "The Hunch" b/w "Quarter To Four". If you aren't already familiar with "The Hunch", it is probably one of the most wild and absurd instrumentals with particularly killer drums! Do yourself a favor and check it out! A few weeks later I scored a copy of Johnny and The Thunderbirds' killer version of the Lamarr Morris tune "The Fugitive" b/w "Just This Side Of Mobile". This group has a Coasters feel goin' on, but sound more like The Coasters fronted by Little Richard. Needless to say it an amazing blend of comedy and frantic rock 'n' roll! Finally, I scored a long time want thanks to the help of my buddy, John. Little Bill Englehart had a hit with "I Love an Angel" on Dolton in 1959, but "Sweet Cucumber" b/w "Why Was I Ever Born" on Topaz is a forgotten gem outta the Seattle/Tacoma 60's scene and a pretty hard one to come by! Last, but not least, I've got a couple long time punk wants. The Cheaters were Kurt Bloch's (of The Fastbacks) first project, and their cut "(How Would You Like To Be The) Ice Man?" is one amazing punk tune sounding more like The Bags than The Bags! Another Northwest killer. Finally, I caved and splurged for The Plugz' first single on Slash. A real classic featuring the group's best material if ya ask me. More info here. I also included an old 7up bottle in these photos. I recently went back home to visit the folks and pick up some stuff seeing as how my parents are sorta cleaning house. While I was there my mom asked what I wanted to do with the bottles in the attic. Well, I had forgotten that when I was younger, I used to collect old soda bottles! I rediscovered my small collection and brought a few choice examples back home with me. This is one of my favorite designs dating from 1951 and featuring a girl in a bathing suit swimming/downing on the label! Too cool! Anyway, hope that was somewhat interesting and entertaining... This was just a small sampling of my collection so stay tuned for more junk in future posts should there be any future posts! Until next time-stay sick, turn blue! Collector of the weird, wild, and wacky!